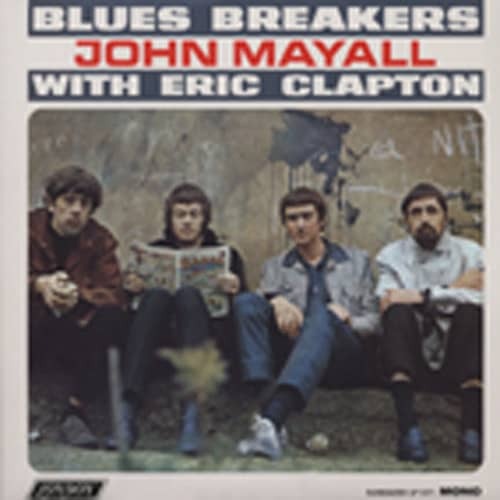 Audiophile Blues LP-Record on SUNDAZED RECORDS by John Mayall - Bluesbreakers With Eric Clapton (1966) Mono. 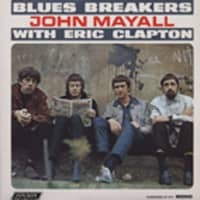 1966's seminal Blues Breakers with Eric Clapton marked John Mayall's emergence as a major recording artist, as well as his commercial breakthrough. 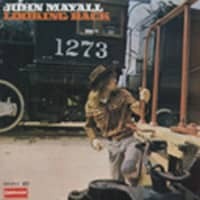 The 12-song LP, considered by many to be the most influential British blues album of all time, marked the official introduction of Mayall's long-running, ever-evolving combo the Bluesbreakers. 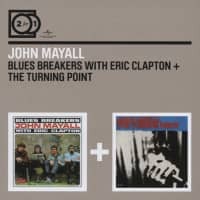 John Mayall shares the spotlight here with soon-to-be-superstar guitarist Eric Clapton (who quit the Yardbirds in order to pursue his blues muse with Mayall), along with future Fleetwood Mac co-founder John McVie on bass and Hughie Flint on drums. Blues Breakers with Eric Clapton is generally acknowledged as a musical milestone for Clapton; his scorching playing and over-the-top tone dominates the entire album. 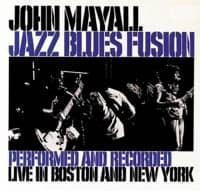 With the group's punchy performances captured in straightforward style by noted producer Mike Vernon, the album offers a potent combination of Mayall originals and distinctive interpretations of songs by Ray Charles, Freddie King, Little Walter and Otis Rush. Customer evaluation for "Bluesbreakers With Eric Clapton (1966) Mono"